I found this extra picture of Stella wearing Calvin Klein from the Zen & Art of Modern Dressing editorial hiding on the contents page. My heart skipped a beat. Really. I love this HB issue. liz wrote the best editor's letter. she had such a great way of relating to the 'average women,' by addressing them as more than merely 'average.' she changed my life. what a shame kate betts didn't last at HB. I think her fashion-forward HB honored liz's grounded yet ground-breaking fashion spirit. boy you said it. i have to give liz full credit for my love of magazines. 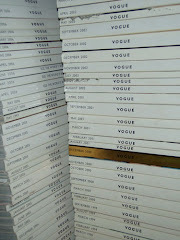 i measure all magazines, past and present, to her editorial style. sorta like.....what would liz do?